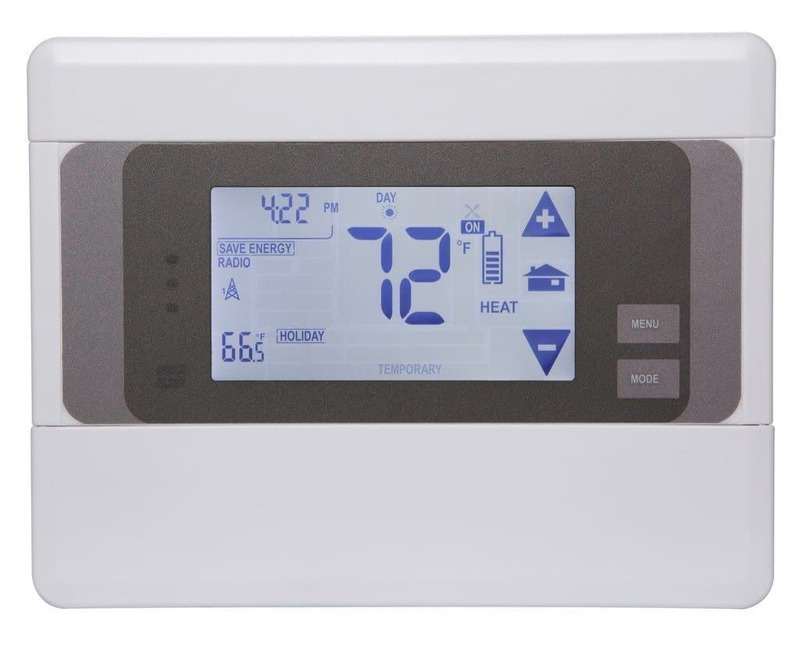 If you’re looking for a Z Wave thermostat, then you have come to the right place. I have compiled a thorough list that will help you find what you’re looking for. And, if you’re not quite sure if a Z Wave thermostat IS what you’re looking for, I’ll do my best to explain exactly what a Z Wave thermostat is and who it’s for. 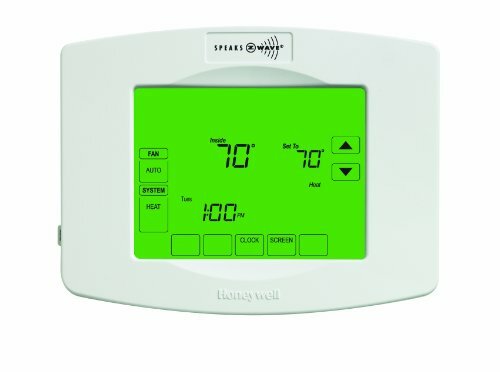 1 What Is A Z Wave Thermostat? 2 What’s The Z-Wave Protocol? 3 Why Would I Want Z-Wave? 4 FAQ: Is A Z-Wave Thermostat Right For Me? 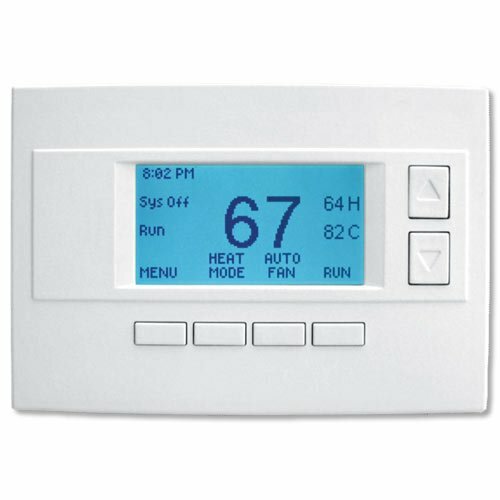 What Is A Z Wave Thermostat? A Z Wave thermostat is a thermostat that communicates wirelessly using the Z-Wave protocol. If this is your first Z-Wave product, you should know that it will require a Z-Wave controller to function properly. If you already have other Z-Wave products in your home, it will act as another node in your home automation web. And, if your automation hub links to the internet, you will be able to control your thermostat from anywhere with an internet connection. All Z-Wave thermostats will you allow you to adjust and monitor the temperature of your home for both heating and cooling. Some models are equipped with humidity sensors to monitor the relative humidity in your home as well. It can also communicate with other home devices through your controller to set up advanced, or “smart”, control options. The z-wave protocol is the name of one method for wireless communication between home automation devices. It is a set of standardized commands that make it easier for a wide range of different devices to communicate with each other. Other protocols that are commonly used that you may have heard of are ZigBee and Insteon. For a more technical explanation, visit here. Why Would I Want Z-Wave? Z-Wave was created so that different brands and different types of products can “talk” to each other in a common language. That way, I can buy an automation controller from company A, a thermostat from company B, and a motion sensor from company C and they will all work together seamlessly. The Z-Wave technology operates at a lower frequency than many other wireless devices. This will reduce the threat of interference with other wireless devices. Less interference means signals can travel farther with less power and be more reliable. Without getting too technical, the lower frequency means that the wavelength of the signal will be longer. This is good because longer wavelength signals are better at traveling through walls and other obstacles you might encounter in your home. Devices using Z-Wave can be operated in a low-power “standby” mode. This allows battery-powered devices to maintain connectivity and still have a long battery life. 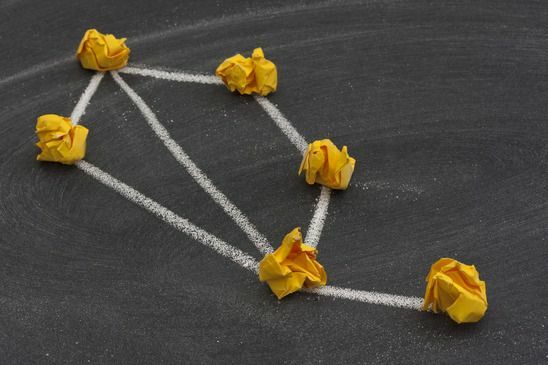 The network of devices operates as a “mesh” network. 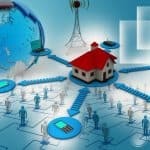 Each plugged in device in the network acts as a range extender (in order to save power, battery-powered devices are designed to not have this functionality). This means that as you add more devices, the network gets stronger and more reliable. FAQ: Is A Z-Wave Thermostat Right For Me? Q: Do I currently have a home automation hub that is Z-Wave compatible? A: You will only be able to get the full functionality of your thermostat if you have a compatible hub. After all, what fun would it be if you don’t have the ability to control all your stuff from anywhere in the world? 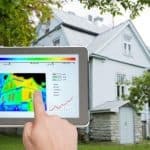 Q: Do I have other Z-Wave devices? A: If you already have a network of Z-Wave compatible products, you probably want to keep expanding your Z-Wave web and make sure your thermostat is speaking the same language. Q: How many home automation devices would I eventually like to have? A: If you would like to fill your home with smart lights and switches and speakers and whatever other wonderful devices someone might invent, then there is a great benefit to having Z-Wave. The network gets stronger and more reliable with more devices. Compare that to something like WIFI which gets congested and begins to slow down with many devices. Q: Do I have a large home or many obstacles? A: In a Z-Wave network, each individual component acts as a range extender. This allows a Z-Wave network to have greater ranges and to “bend” around obstacles. Also, the lower operating frequency of Z-Wave performs better than WiFi or Zigbee when passing through walls. Q: I don’t think Z-Wave is right for me. What do I do now? A: Building a Z-Wave home automation network takes some technical skills and that’s not for everyone. You may be looking more for something that you just plug in and it works without much work from you. No problem! Most WiFi thermostats work like that. The best ones are quite a bit more expensive, but there are some good cheaper choices too. The 2gig CT100 is a great all around thermostat. It has been a top seller for several years. It has a slim, clean look with a simple but informative touchscreen display. The CT100 includes a humidity sensor which is something not all of its competitors have. Just keep in mind it will only allow you to monitor the humidity. It will not allow you to control humidity with a separate humidity control device like the CT80 does. However, it will connect to almost all types of HVAC systems including forced air, heat pumps, and millivolt. It’s simple, but it’s reliable and won’t break the bank. The GoControl TBZ48 is another popular choice for a simple but effective thermostat. By itself, the thermostat doesn’t do much. It has a very simple LCD screen with limited information. It isn’t programmable and it doesn’t monitor humidity. But, none of that should be a problem if you plan on hooking it up to your Z-Wave controller. For those people that insist on using batteries to power their thermostat, this one will do alright. It can run up to 2 years on 4 AA batteries. The battery compartment is located on the front of the thermostat so that you don’t have to take it off the wall to replace the batteries. If you do connect it to power, DO NOT install batteries as it can damage the thermostat. This is the upgraded version of the popular CT100 model which has been discontinued. The CT100 Plus comes with a Z-Wave Plus wireless module installed. The advantage to Z-Wave Plus is an increased battery life of up to 50% and an increased range of up to 67%. This makes the CT100 Plus a great option for those installations that need to have batteries or are tucked away in an inconvenient location. I strongly recommend using wall power (not batteries) no matter what thermostat you buy. However, if you don’t have the infamous c-wire and you absolutely don’t want to get one, this one will work. If you do choose to run it using batteries, make sure that you have a good idea of how to properly configure devices with your Z-Wave controller. Otherwise, if your controller is sending lots of unnecessary messages to your thermostat, you will be replacing batteries way too often. 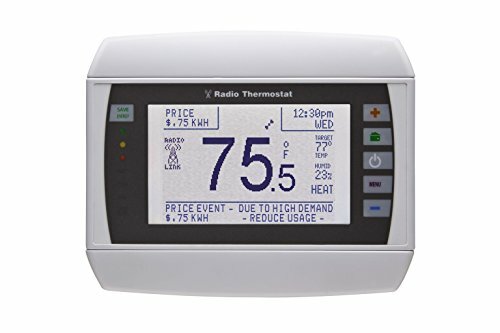 The thermostats in this list aren’t necessarily worse than the thermostats that made the “best” list, but they tend to be either more expensive or for special use cases. The Honeywell YTH8320ZW1007/U is a popular offering that has been around for awhile. The thermostat proudly displays the Z-Wave logo right above the large backlit touchscreen display. It works for the standard 5 wire setup and for heat pumps. It does not have a battery option so it won’t work if you don’t have a c-wire. However, it does come with an add-a-wire adapter if you are currently without a c-wire. 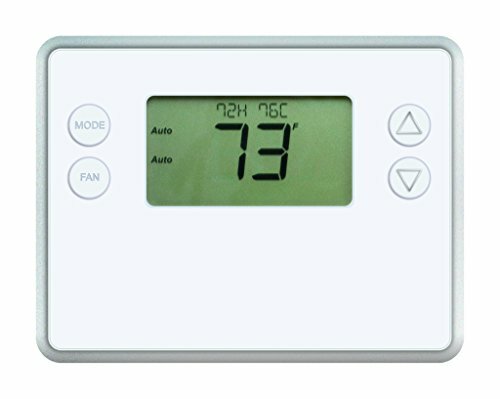 In case you don’t plan on using the Z-Wave capability right away, this unit can be used as a standalone programmable thermostat. Programmable mode lets you set up a 7-day schedule with up to 4 periods per day. There are multiple options for timed holds and fan control. It supports auto switch between heating and cooling. It will send alerts when you are due for a filter change or when it senses a problem with your equipment. Honeywell is a well-respected name in the thermostat business. They generally make some really nice thermostats. The Remotec ZTS-500 looks like a really nice product. However, it’s still fairly new and not “battle tested” in my opinion. I think it may find itself at the top of this list in the near future. It has all the latest Z-Wave features including Z-Wave Plus and AES128 encrypted secure communication. This thermostat is probably one of the better looking Z-Wave thermostats on the market. Most Z-Wave thermostats are fairly conventional looking, but this one looks a little more modern. It has a black face with round corners that kind of makes it look like the latest ecobee thermostats. 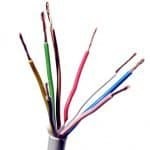 In order to provide for maximum ease of installation, the terminals you connect the wires to are detachable from the thermostat. For those of you without a c-wire, it offers a reasonable battery powered alternative. The Z-Wave Plus uses less power so that you can expect 4 AA batteries to power the ZTS-500 for about a year. Like most Z-Wave thermostats, it’s not programmable. That means all scheduling and “smart” stuff will be handled by your Z-Wave controller. 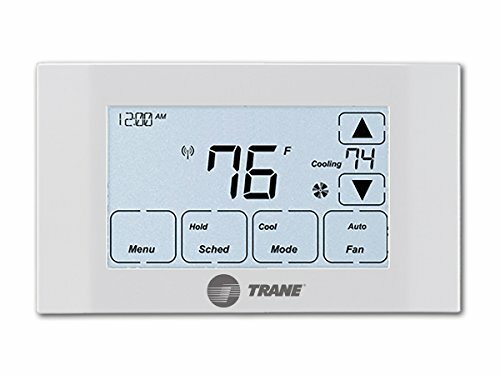 The Trane XR524 has features that are very similar to the Honeywell mentioned above. It does have the added benefit of being officially approved for use with Nexia. It’s also capable of working with multi-zone systems. It will work with many brands of HVAC equipment. It doesn’t require Trane equipment like the XL824 below. The Trane XL624 is an updated version of the XR524. It’s a little bit more expensive than the XR524. Instead of the all white design of the XR524, it has a two-tone gray design that matches the XL824 pictured below.The only functional addition is a humidity sensor which enables it to report indoor relative humidity. 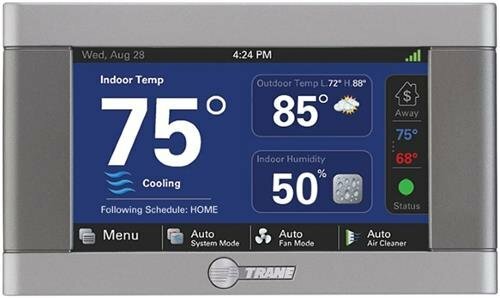 The Trane XL824 has a big, bright full-color touchscreen that looks great. You can set up a 7-day schedule with up to 6 periods for each day. However, it’s not exactly a standard smart thermostat. It only works with Trane & American Standard 3-wire communicating systems. So if your equipment is something else, you can forget about the XL824. Also, it’s a thermostat and a Nexia controller bundled into one. That makes the XL824 a great place to start if you are thinking about building a Nexia home automation system. But, it’s probably not your best option if you aren’t planning on getting a Nexia subscription. If you don’t have the Nexia subscription, it will still work. However, to unlock all the features of this thermostat/hub, you will need the subscription. Radio Thermostat makes…yup, you guessed it, radio thermostats. It’s the only thing they do, so as you might also guess, they are pretty good at it. They actually have about 5 different models that are fairly similar, but I waded through the details to find the model with the most amount of features for the least amount of money. 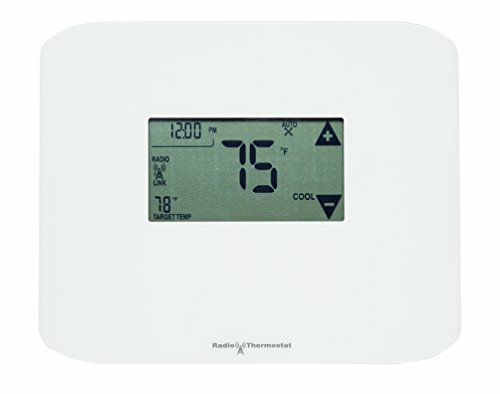 The Radio Thermostat CT80 is a 7-day programmable thermostat with a Z-Wave wireless module. It can be run on batteries, but as usual, I recommend avoiding that if possible. It supports all major HVAC systems with up to 5 stages for heating (heat pumps) and 2 stages for cooling. It also includes a humidity sensor and has the ability to connect to accessories such as a humidifier or dehumidifier. One feature that really makes the Radio Thermostat stand out is the wireless module for the CT80 (and most other Radio Thermostat models) is interchangeable. 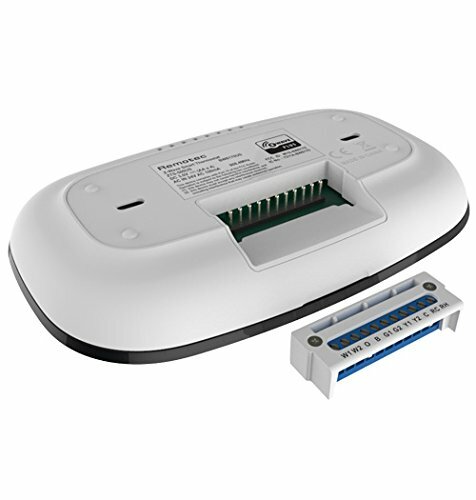 This model comes with a Z-Wave module installed, but it is possible to switch out the module for Zigbee or WiFi (extra modules sold separately). The main thing the CT80 lacks is the benefits of a Z-Wave Plus module. 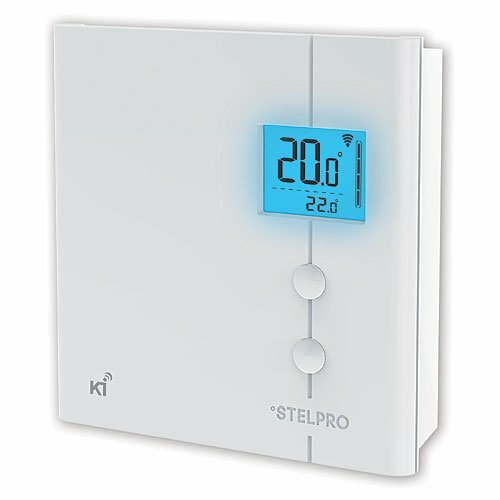 The Stelpro KI STZW402WB+ is the only Z-Wave thermostat I have found for line-voltage applications. If you have electric baseboard heat or wall convection heaters, this is the type of thermostat you need. It looks great, it does not require batteries, and it supports the latest Z-Wave Plus technology. For a closer look at everything it can do, see my Stelpro Ki review. 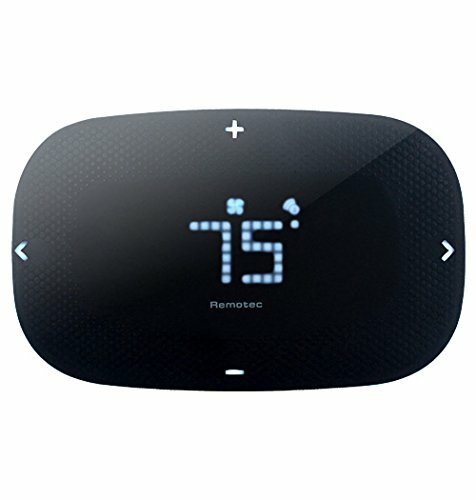 If you’re looking for a more modern, sleek looking, and all-around great thermostat, the Alarm.com Smart Thermostat fits the bill. The dotted temperature display looks similar to the Zen Thermostat by SwannOne and that’s a good thing. The major restriction is that it requires an Alarm.com account to use. It is not programmable by itself. It requires the app to program schedules. But, that shouldn’t be a problem because if you buy this, you will need an Alarm.com account anyway. It uses the latest Z-Wave Plus specifications and can function with or without a battery. With Z-Wave Plus, battery life can be expected to be up to 50% longer and range up to 67% more. Plus, the Alarm.com system will automatically configure your thermostat for optimal battery life. The RCS TZ45 is an offering from Residential Control Systems. I would describe this as a very nice programmable thermostat that just happens to have Z-Wave. There are a total of six buttons with on-screen labels to make using it quite painless. It has a robust programmable schedule which allows for up to 4 separate 7-day schedules. 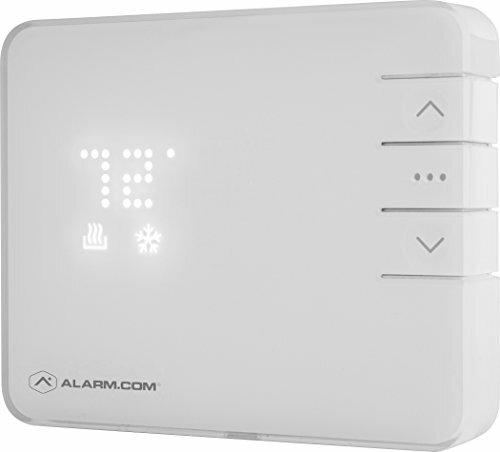 The TZ45 is the only Z-Wave thermostat I have found that has the following feature: Up to two indoor wireless sensors can be paired with the thermostat. These remote sensors let you control temperature based on the parts of the house you actually use instead of only where the thermostat is mounted. The Evolve T-100R appears to be a rebranding of RCS TZ45. There’s a few minor changes on the display and a slightly different look to the thermostat itself. Aside from that, and a slightly lower price tag, it is essentially the same thermostat. It’s hard to say exactly which is best because different people are looking for different things. Some people want to spend as little as possible. Others want as many features as possible, and still others are looking for one specific feature or a certain look. It may look like I’m a huge Radio Thermostat fanboy, but I’m not. I’ve just done the research and their thermostats consistently come out on top in terms of price, reliability, and customer reviews. Did you find this article helpful? Do you still have some questions that I didn’t answer? Either way, let me know in the comments below and I’ll be happy to strike up a conversation. Thanks for reading! I definitely see a lot of benefits to the Z-wave thermostat. It’s amazing that you can monitor and control the thermostat from anywhere. I’m not that familiar with the Z-wave protocol and home automation technology. Does this require purchasing a monthly service (like internet) or does it work completely off of the home wifi? Does the thermostat come with all the needed equipment? Thanks! 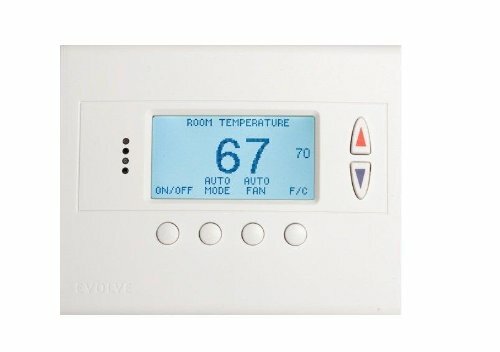 A Z-Wave thermostat will require you to purchase a Z-Wave controller. The controller will control all your Z-Wave devices. It can also link to your home router which will enable you to control your Z-Wave devices using the internet. Whether you have to pay a fee or not depends on the controller you buy. Some require a monthly fee for premium services. Others, like the Samsung SmartThings, provide their service for free. 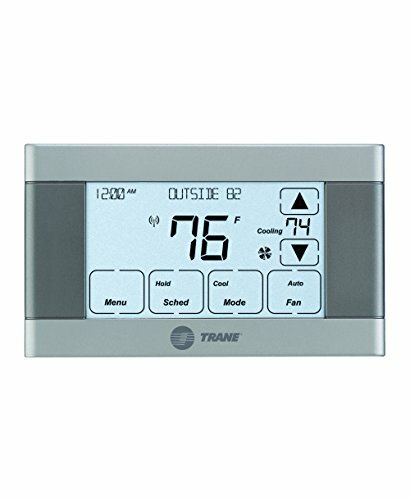 Are there any Z-wave thermostats that work with ComfortNet compatible systems? Nest is Z-Wave via Vivint as of 2016. Why is Nest not on the list and is Ecobee planning to add this to the list? Ecobee has a much more robust analytics program.